Genuine 1W/2W/3W/5W blue/green laser diode inside. The highest price–performance ratio 1w-5w laser in the market. Burns stuff instantly: matches, papers, leaves, wood pieces, etc. Thor Powerful Burning Laser Pointer. 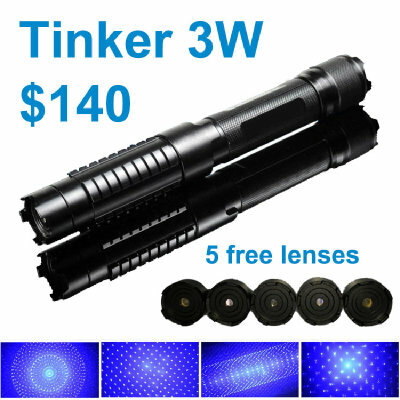 Genuine 1W/2W/3W/5W blue/green laser diode inside. Output power is guaranteed. The highest price–performance ratio 1w-5w burning lasers in the market. Burns things instantly: matches, cig., papers, leaves, plastics, wood pieces, etc. Thor Burning Lasers cut and burn papers, live tree leaves, leafstalks and stems. Lasers used in this video are Thor 3W & 5W blue lasers.